Home / Allgemein / 5 YEARS SECTOR COLOGNE – 02.02.2018 ARTHEATER CGN. 5 YEARS SECTOR COLOGNE – 02.02.2018 ARTHEATER CGN. 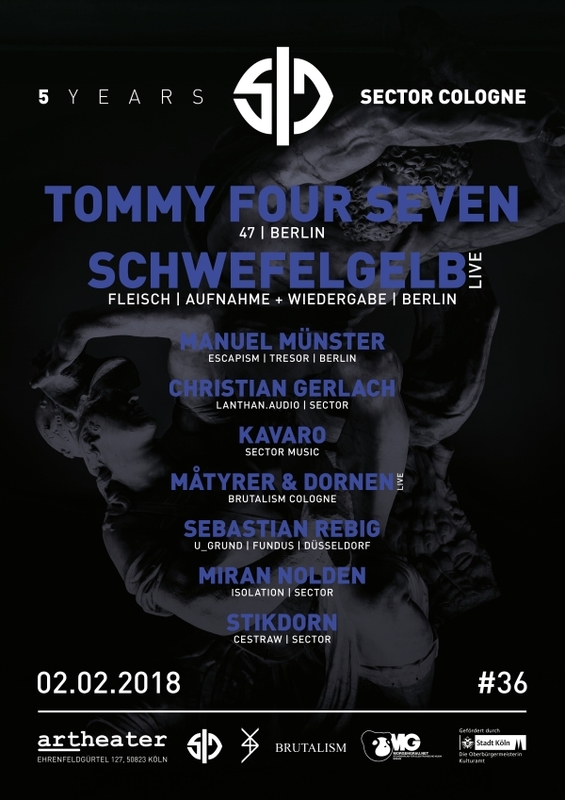 On February 2nd we celebrate 5 Years Sector Cologne with Tommy Four Seven (47), Schwefelgelb – Live (Fleisch), Manuel Münster (Escapism), Sector Residents & friends at Artheater Cologne on 3 floors.